You have carefully thought out what you need to know before adopting a rescue dog. 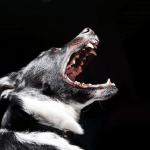 You have considered energy level, prey and herding drives, and taken into account potential health and behavioral issues your new dog may have. Now you want to know where and how to rescue your new dog. If you have already chosen your dog and want to know how to get off to the right start, learn how to lay the foundation in the first week with your rescue dog. If you are sure you are ready to rescue, here are some tips about where and how to rescue your new dog. The possibilities of where to adopt your new pet have increased considerably. The rise of pet matchmaking services on the internet as well as an increase in private rescues have provided a new range of options about where to adopt your dog. Books by Peter Zheutlin like Rescue Road and Rescued inspire us to give loving dogs a second chance. Read on to consider adoption options with pros and cons to help you choose the best rescue companion for your family. 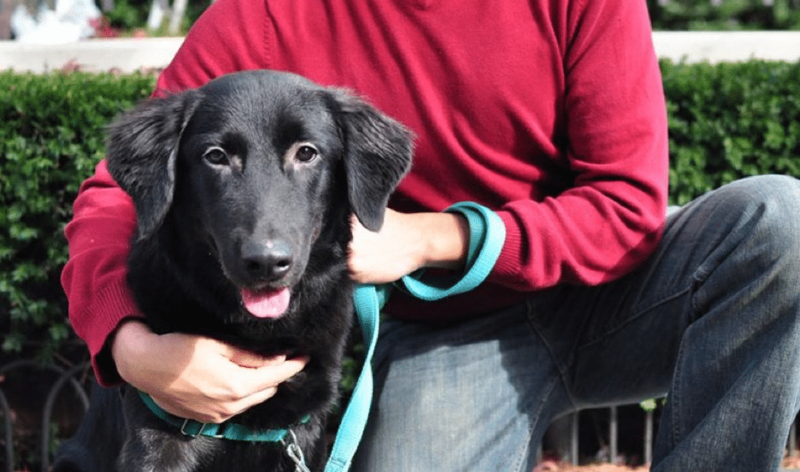 Private rescue organizations like Black Dog, Second Chance take dogs from shelters where they may have been euthanized and place them into private facilities or foster homes. Most private rescues depend heavily on their foster network and pull dogs from shelters as soon as they have room within a foster family. Private rescues do an amazing job of connecting dogs who may otherwise have been put to sleep with families who are perfect for them. Some private rescues are breed dependent or specialize in large or small dogs or dogs with special needs or disabilities. These dog lovers know that just because a dog may have a behavioral or medical condition doesn’t mean that she can’t be a wonderful pet in the right family. 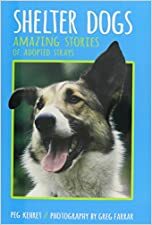 In Shelter Dogs: Amazing Stories of Adopted Strays Peg Kehret shares stories of dogs that have overcome challenges to become the best dogs they could be with just the right people for them. Adopting a dog with special challenges can have special rewards, so don’t rule out a potential pet because of known problems. Consider how an individual dog may work in your lifestyle despite challenges. Private rescues often utilize volunteers to transport dogs for considerable distances so you can potentially adopt a dog from a long way away, opening up the possibilities for adoption. Private rescues typically ask for a higher adoption fee than animal services or the Humane Society, but this price tag often comes with thorough vet checking along with the opportunity to talk to the foster family and learn about potential dog’s habits and behavior. You can find many dogs and private rescues in your area and can meet dogs in a natural home or neutral park environment before making the decision to adopt. You can also visit an adopt-a-thon at a pet store or other facilities where private rescues gather dogs together to put them up for adoption. Keep in mind that dogs in private rescues still experience stress from being rehomed recently and may not have been with the family long, so some aspects of their personality may still not be clear to you. if you can, foster before making the decision to adopt. Depending on your area, Animal Services may be a nearly no kill shelter or a shelter with a high euthanasia rate. Animal Services is the first place that most dogs that are surrendered by their owners or are found as strays. It is also where dogs that are seized from unsafe or cruel homes go. Animal services keeps dogs for a number of days before placing them for adoption. Dogs are thoroughly vetted and rated for their sociability and characteristics like food guarding and leash aggression before being placed for adoption, but dogs are unpredictable and may act very differently in a shelter environment and at home so you may not be able to get a good assessment of the dog from this professional rating. 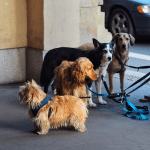 Dogs that are surrendered by their owners may have a lot of information available about them while strays may have next to no information available about them. The typical experience of visiting Animal Services is walking down the aisles of dogs. A placard on the front of the cage tells you as much as the shelter knows about the dog, and you can usually get more information about individual dogs from shelter attendant. Shelter attendants can also listen to your requests in a dog and attempt to matchmake for you. If you do not want to have the experience of walking down the aisle of dogs or you are worried about this experience being unpleasant for your child, you can ask an attendant to bring you dogs that match your requests in a neutral play area to meet. Behavioral vetting may be less useful than information from private owner who has known the dog for some time. 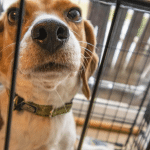 Along with the rise in rescue, there has been a decrease in dogs bred in large facilities that are considered puppy mills or backyard breeders. 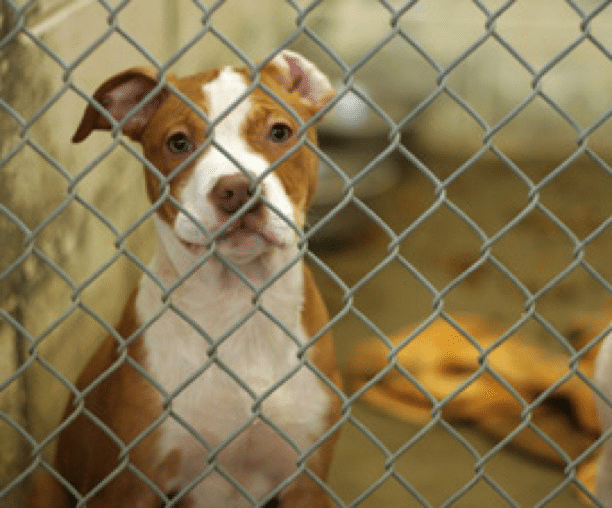 While many home breeders are responsible and produce healthy puppies in a family environment, other breeders keep dogs in backyard cages or small kennel setups and produce puppies that are unhealthy or badly socialized. Buying a puppy from such a situation does not entail rescuing it, as the breeder will use your money to continue producing more unhappy dogs. These setups are often caught and shut down, however, and the dogs put up for adoption. 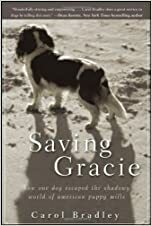 Millions of people have been made aware of the condition of dogs in this situation by books like Saving Gracie, the story of a sweet Cavalier King Charles Spaniel who went through incredible misery as a breeding dog at a puppy mill but became a loving and devoted pet with the love of a family. Choosing to adopt a dog from such a situation has advantages and disadvantages. You can get a purebred dog that will exhibit many characteristics of its breed so you have some level of predictability. Especially if you want to adopt a puppy, this can be a huge advantage. On the other hand, dogs bred in such a situation will not have been well bred and may not exhibit desirable characteristics of their breed. There is also a very high chance that their genetics will cause a wide range of problems that may not be evident at the time of adoption. If you want a higher level of predictability in your rescue dog and have a particular breed in mind then adopting a dog from a situation like this may fit your lifestyle, as long as you keep in mind potential health problems down the road. Dogs rescued from puppy mills or backyard breeders can often be found in breed-specific rescues and also sometimes overwhelm local shelters and private rescues when a large facility is shut down, calling for highly-publicized calls to adopt. Increasingly sites like Craigslist and Petfinder are being used to rehome pets. While many of these families may have wanted to make the long-term commitment to their dog, most dogs live for over a decade and things change. Situations may arise that make it impossible for a family to continue to provide a good home for a beloved pet. It may be best for the dog to find a new home that suits her needs better. Using an online matchmaking site to find a dog in your area or all over the country can cut out the expensive fees of rescue organizations and help to keep you from the unpredictability of getting a pet from a shelter. Doing it this way is also the least stressful for the dog, since she gets to live with her old family until she goes to live with her new family, preventing the anxiety of displacement. You can also find a purebred dog with a known history in this way. It is even possible to find a registered dog with AKC papers, but you will pay as much if not more than what you may pay with a rescue and the possibility of fraud becomes more likely. Tales from the ASPCA about wonderful stories of private rehoming like that of Felony are inspiring and encourage us to imagine finding the perfect dog with a known history and good health on a site like Craigslist. It is important to remember that using a direct site like this means that you don’t have the vetting process or third person help of a rescue organization and if something goes wrong you will be on your own. Many dogs are also available through a rescue organization while they stay in their current homes so you can have the advantage of working with a rescue organization and receiving their thorough vetting while also putting the dog through the least stress. Such situations will also allow you to get information you need from the current owners while still remaining somewhat distant from them due to the assistance of the rescue worker. 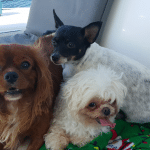 While these dogs will come at a higher price than dogs that are directly available from the owner, you will know that they have been vetted by a professional and also have information from the owners, giving you in many ways the best of both worlds. There will be a huge difference in the kind of questions you can ask if you are discussing adopting a potential dog with the previous owner, a rescue organization worker, or a foster family. Some essential questions, however, are applicable to anybody that knows the dog. Be careful to phrase questions in a way that stays positive, especially if you are talking to the previous family. The AKC recommends 10 important questions when getting a dog from a shelter. Here are several of the AKC recommended questions along with several more that are applicable no matter where you are rescuing your dog from. Why is this dog being put up for adoption? Does this dog get along with other pets, children, or strangers? Does this dog have leash and basic obedience training? Does this dog have any medical concerns? What is my recourse if this dog does not get along with my family? Is this dog housebroken? Spayed or neutered? Does this dog allow food and toys to be taken away from her? Does this dog ever bark and growl? When? Does this dog have anxiety in any situations? Thunderstorms? You may not be able to get all the answers, but ask as many questions as you can and learn as much as possible about your potential dog before making the decision to adopt, and foster if possible before making the decision to adopt. If you do your research and make a careful decision about the right rescue dog for you, you will have a loving companion for many years to come. Once you’ve made the decision to adopt, learn how to lay the foundation for the first week with your rescue dog.